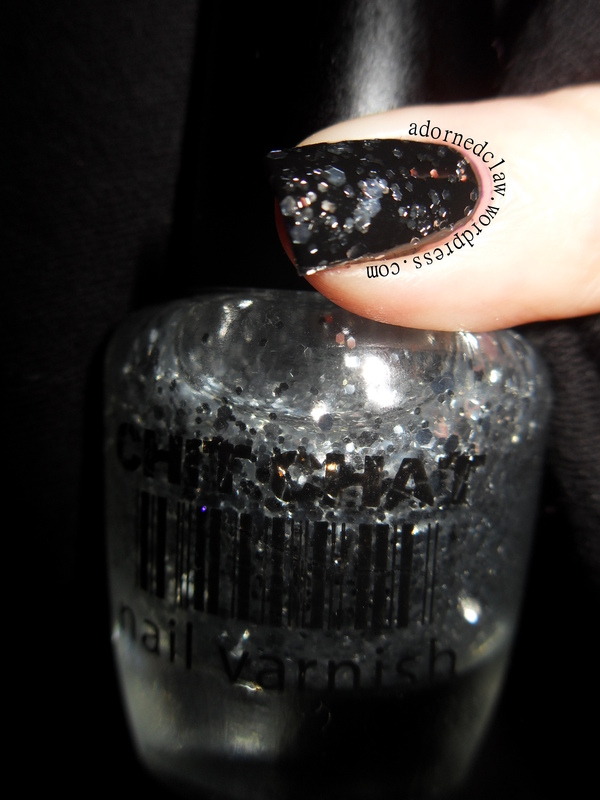 GOT Polish Challenge – Chevron Nails! 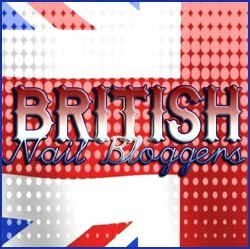 Today’s GOT polish challenge is chevron nails! My second attempt was a lot more successful! I free handed these! Not a single scrap of tape in sight! I was expecting this to be a horrible mess but I’m honestly really surprised at how well these turned out! I started out with two coats of White on White from China Glaze, then I used Style Slave from 17 for the first chevron followed by Grey from Barry M, and finally Black On Black from Sinful Colors. I overlapped the different polishes to make sure the lines where even. Like a very simple fishtail braid mani! The oldest polish I used is Style Slave, I must have owned this one for at least 10 years! Barry M Grey I have had for about three years, the Black on Black from Sinful Colors and White on White from China Glaze I haven’t had s as long! The polish you use should be at least one year old. 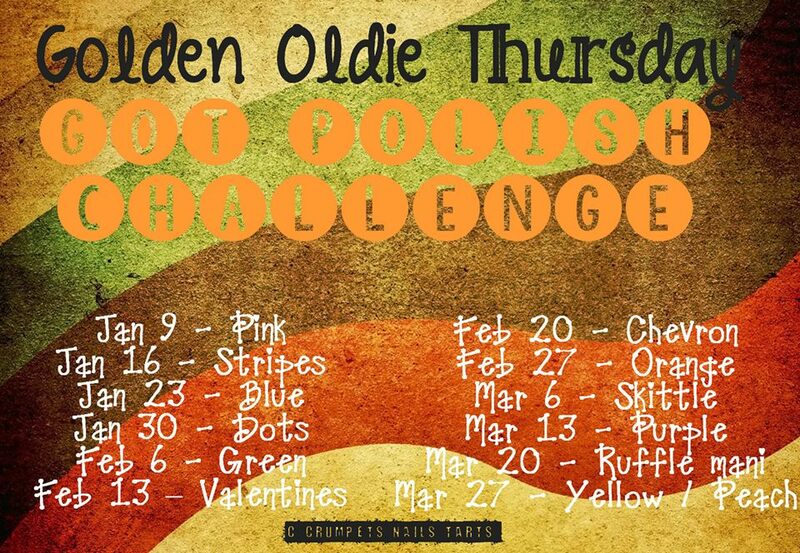 If you haven’t been a polishaholic that long, you can use the oldest polishes you have. The polish should be previously used, but if you’re stuck, you could free a yearling from Mount Untried. 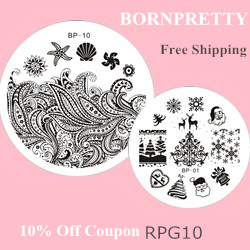 You can use more than 1 polish as long as it fits the theme and the rules. Here is another fire inspired post! But not to be defeated I tried again with my go to colours of black silver and grey! 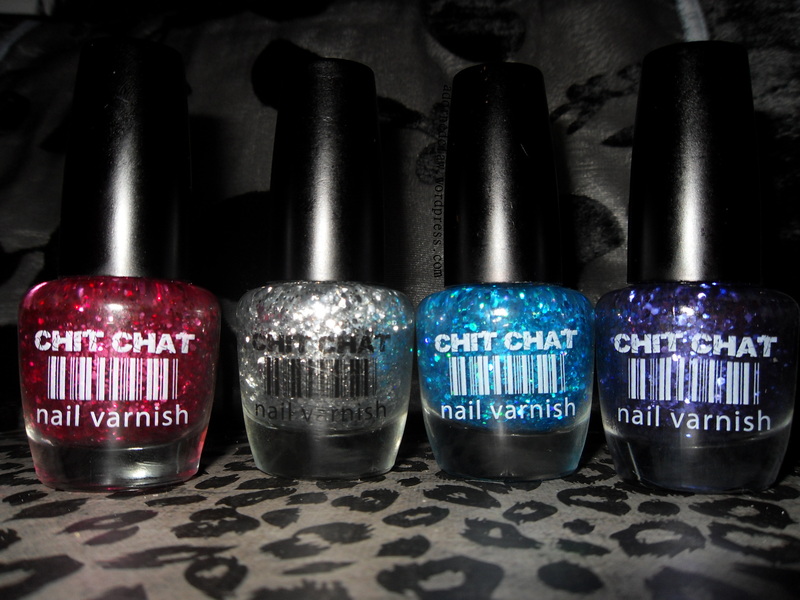 The polishes I used are Barielle shades – night moves. 17 – Smoke Signal. 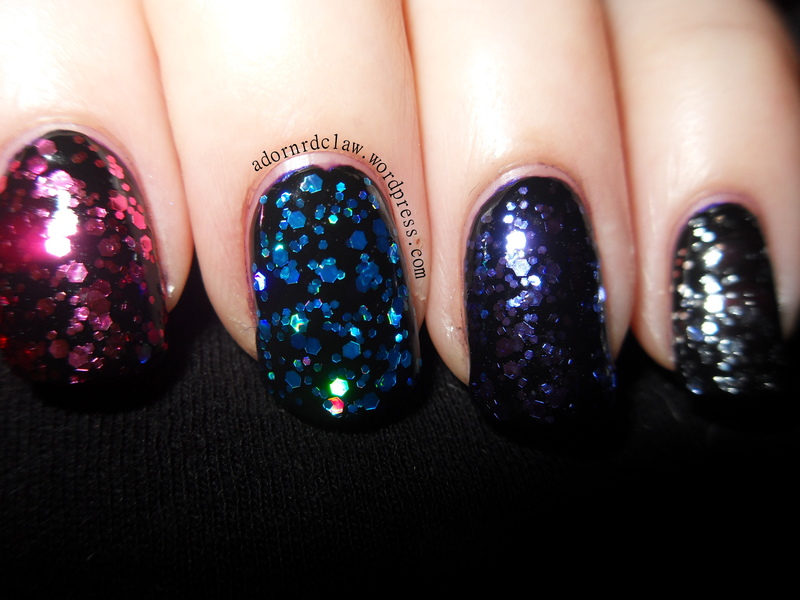 and Sinful Colors – Black on Black. Seeing as it is coming up to bonfire night, here are some fire inspired nails! I started with 3 coats of The Uptown from Color Club, which is a lovely purple jelly with Multi-chrome flakies! 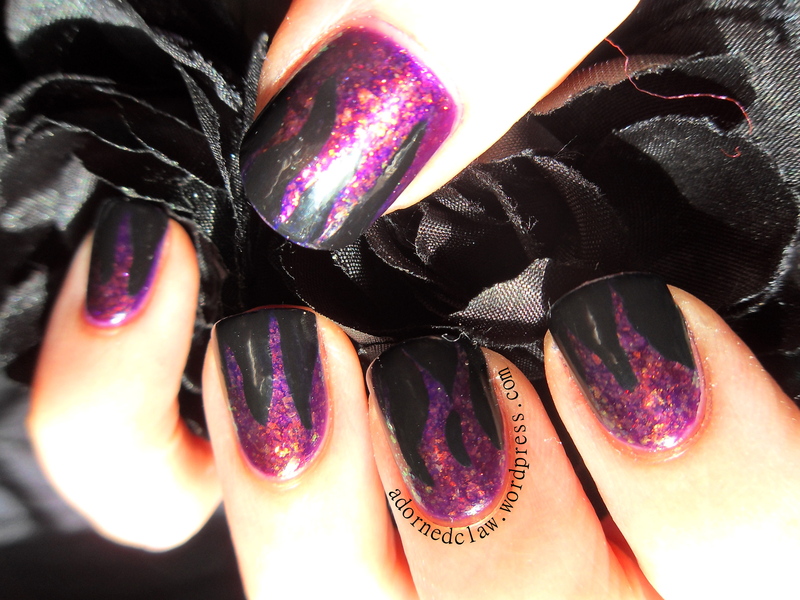 Then using Black on Black from Sinful Colors and a thin brush I painted on the flame pattern. 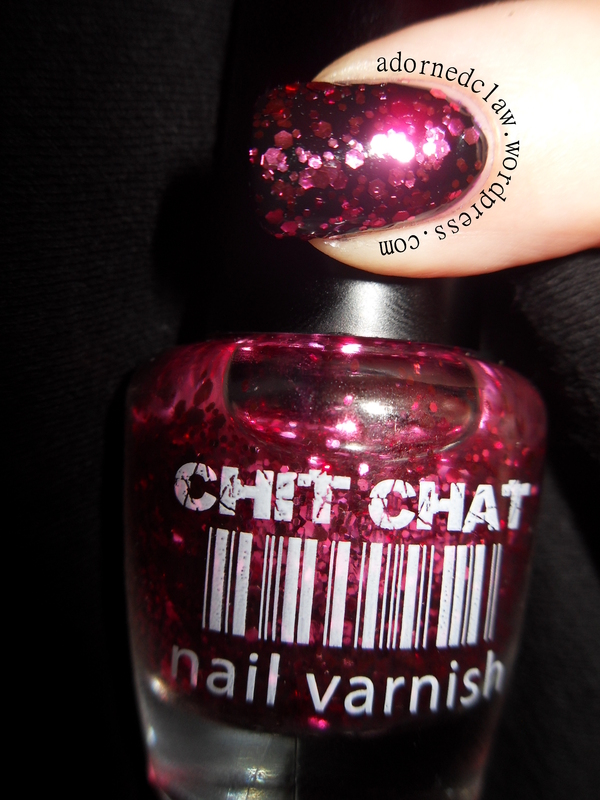 This pink glitter polish is really pretty, I found this polish a bit tricky to apply, the formula is a little bit thin, but the amount of glitter makes up for that! I really don’t know what it is about my camera that makes it hate silver glitter so much… So sorry about the rubbish picture, it was the best one I could get! 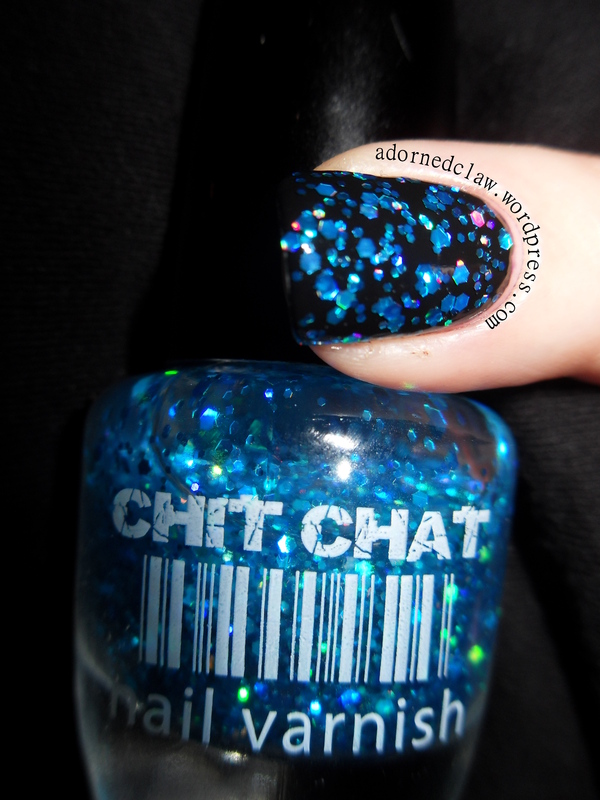 This is a really pretty polish! I really like it over the black. 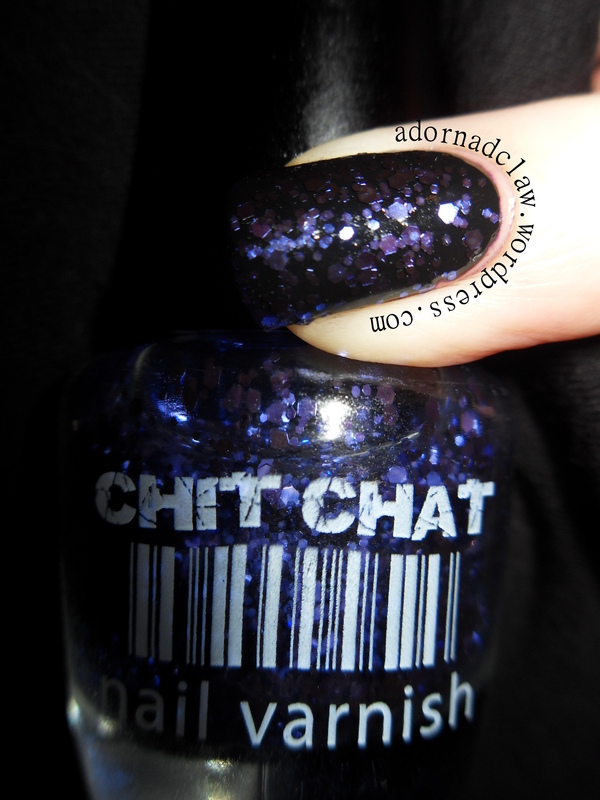 out of all four polishes, this one has the most glitter, It is a really pretty blue toned purple, I think this one will be perfect for a glitter gradient over a lighter coloured polish! I used Greige Gardens and Ivory skull both from Sally Hansen, Black on Black from Sinfulcolors, Baptiste from Illamasqua and cosmic dust from china glaze! 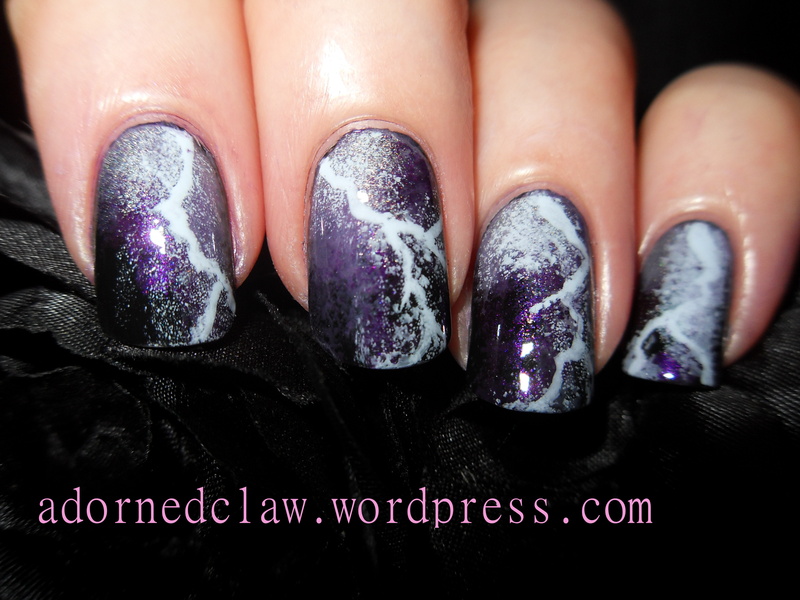 I started out with a coat of Black on Black, then sponged the dark purple Baptiste making sure not to cover the whole nail, after that had dried I used Greige gardens and Cosmic Dust to give the impression of clouds. For the lightning I used Ivory Skull and a fine brush! I really love how this looks and I will try this again, maybe with blues and greys or different shades of silver or red and black for Halloween! 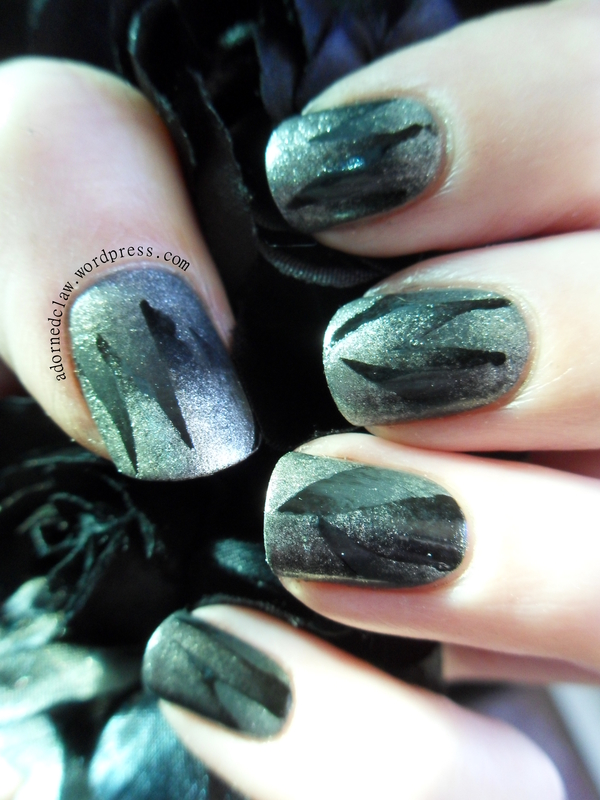 Silver and Black Gradient Half Moon Nails. I started with two coats of Night Moves which is a lovely bright silver foil. after waiting for it to dry, I used my trusty Ring binder hole reinforcements to create the half moon shape. 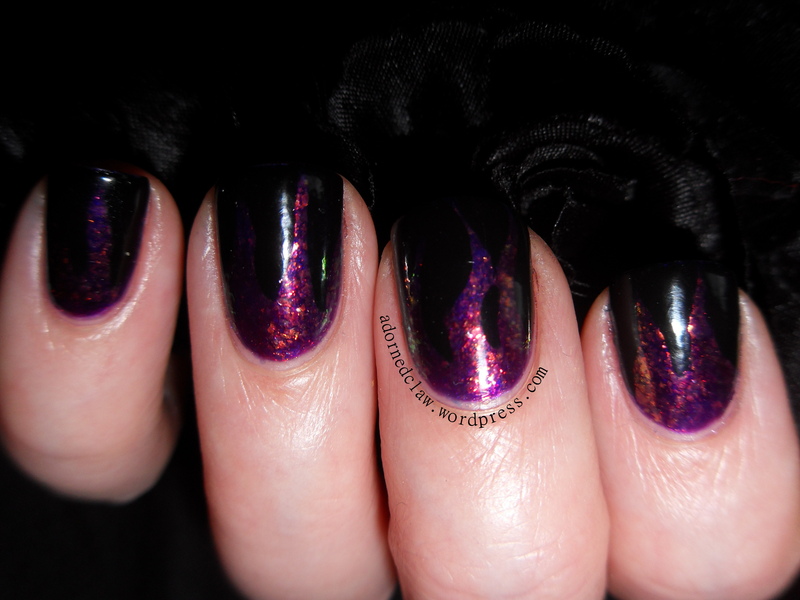 Then using Black on Black, Coalist Day and a bit more of the night moves I sponged on the gradient. this took three thin coats. while the polish was still wet I carefully removed the hole reinforcements with tweezers, then applied a coat of Seche Vite!